As homeowners increasingly pursue small-scale bathroom remodels, faucets are becoming an easy target for upgrades with cutting-edge design and improved functionality. A recent NAHB survey found that bathrooms narrowly overtook kitchens in 2017 remodeling projects. Eighty-one percent of survey respondents reported remodeling a bathroom in 2017, while 78 percent reported completing a kitchen project. One quick fix for any bathroom project is a new faucet. 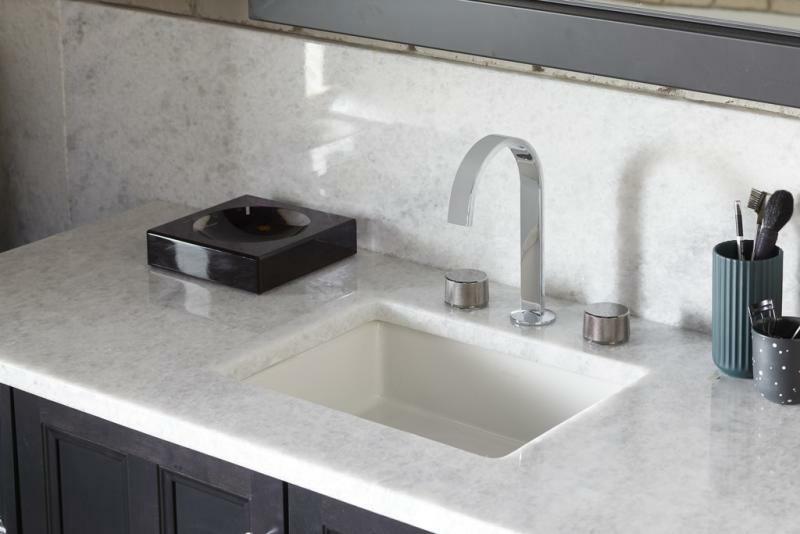 As manufacturers focus on making faucet designs sleeker and more stylish, the faucet increasingly has the ability to be a style-setting statement piece. A 2017 bathroom study from Houzz reported that 90 percent of respondents upgraded their faucet while remodeling a master bath (the most of any feature). In addition, 35 percent of respondents reported “splurging” on faucets. So what faucet styles are homeowners willing to splurge on? “Simple, sleek lines in faucets are trending,” NAHB says on its website. This makes sense, considering that transitional and contemporary style dominated in the are the most often-requested bathroom styles in renovations (25 percent and 17 percent, respectively, according to the Houzz study). As far as finishes go, NKBA’s most recent Design Trends Report found that brushed nickel, satin nickel, and polished chrome continue to dominate. But manufacturers are beginning to push more statement-making finishes like such as matte black and gold, and homeowners are starting to follow suit. 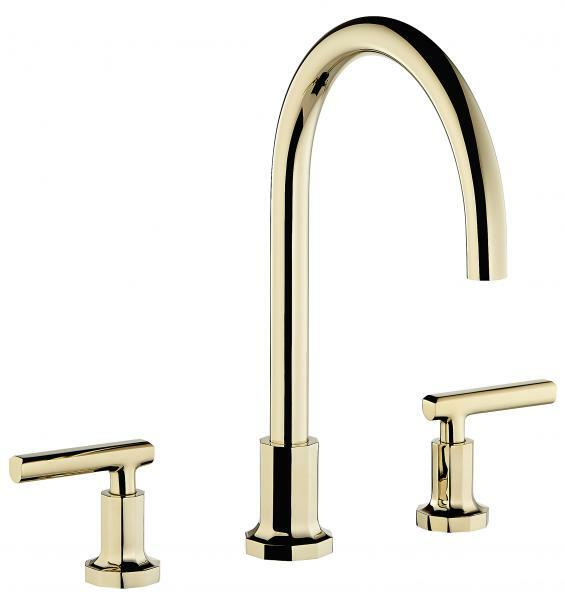 Moen debuted its first gold finish this year, while Kohler has introduced Ombré, which moves between rose gold and either a polished nickel or titanium (See more reporting on faucet finishes here). The good news is that manufacturers have faucet options for every need. From transitional to contemporary, here are 11 new bath faucets for your next remodeling project. 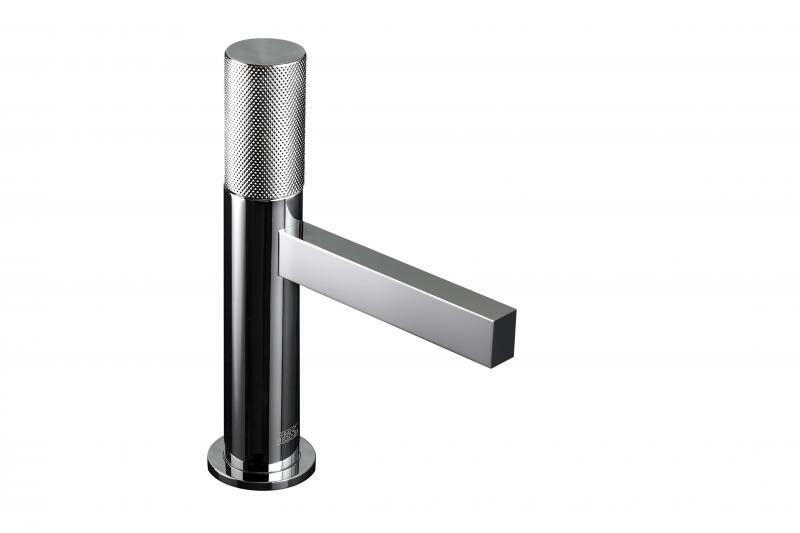 The manufacturer has added a single lever faucet to its Lollipop collection. The ADA-compliant tilting handle can be moved left, right, and back to control water flow and temperature, and comes with or without a tactile knurling detail. Eight finishes are available, including black chrome, rose gold, polished gold, brushed gold, polished nickel, polished chrome, oil rubbed bronze, and brushed nickel. The Soriano line of durable stainless steel faucets was designed in collaboration with Italian design firm Meneghello Paolelli Associati. 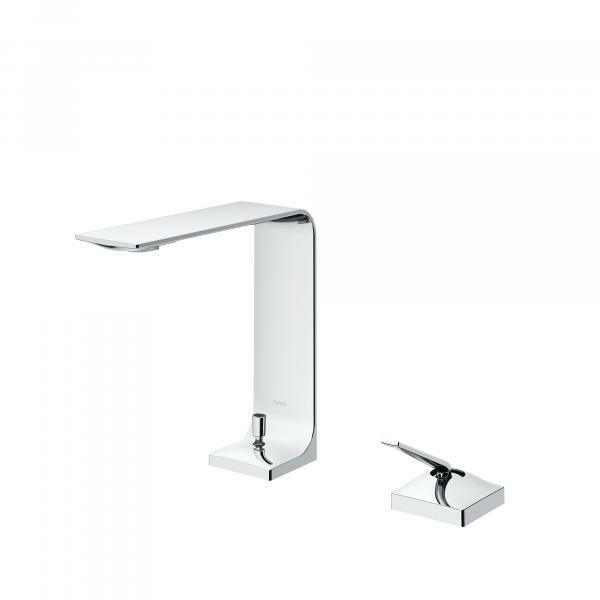 The fixtures feature a simple curved silhouette inspired by the Boolean coding logic of “1s” and “0s.” The collection includes a three-hole basin mixer and two sizes of deck-mounted basin mixers, as well as tub fillers and shower accessories. All are available in brushed stainless steel. 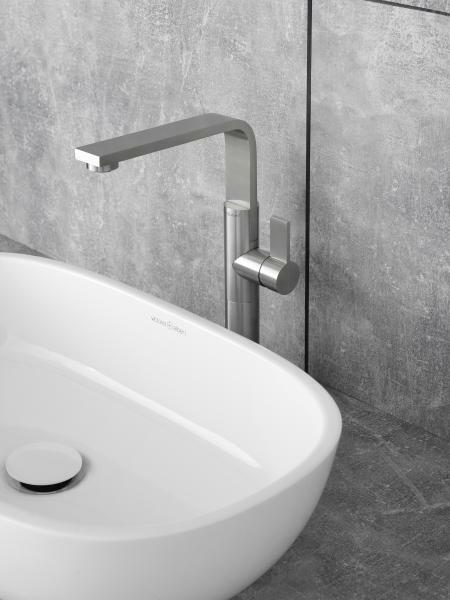 The company’s latest collection of bath faucets was designed by French design duo Gilles & Boissier. Les Ondes, French for “waves,” features a 10-sided crystal base, which mimics the transparency of water. The collection includes a variety of configurations for basins, tubs, and showers with either lever or cross handles. Four finishes are available. Dorrance features a blocky, modern shape with either ADA-compliant cross or lever handles. The solid brass faucet surpasses WaterSense requirements, with a 1.2 gpm flow. Twenty seven finishes are available, including matt black (shown). 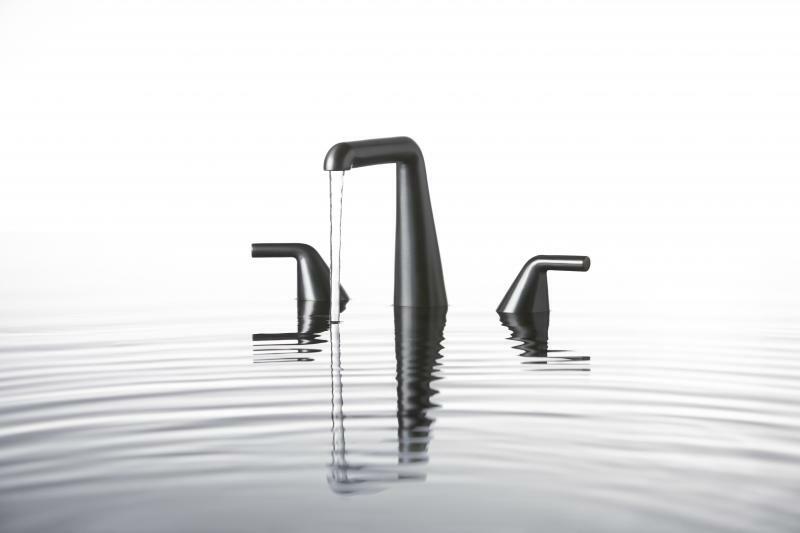 The Align collection features a cylindrical shape and meets WaterSense requirements. Three-hole and single-hole options are available in a number of heights and finishes, including brushed gold (shown). 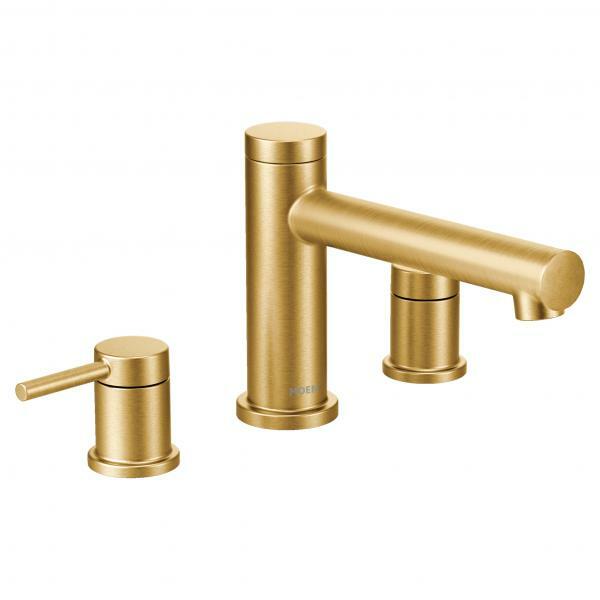 In addition to Align, the manufacturer’s new gold finish is available on it’s Voss and Weymouth bath suites, as well as several kitchen products. The Components Collection allows bath remodelers to mix and match three spout and four handle options. Spouts include the angular Row, the sleek Ribbon (shown), and the cylindrical Tube, while handles include the Lever, Oyl (shown), and Industrial, as well as a single rocker handle. The collection will be available in polished chrome, matte black, titanium, and brushed nickel, as well as the new Ombré finish. The Taper collection, which was designed by Bjarke Ingels, was a 2017 AD Great Design Award winner. The ADA-compliant, solid brass fixture features clean lines and a wide conical shape. It is available in four finishes, including gunmetal (shown). 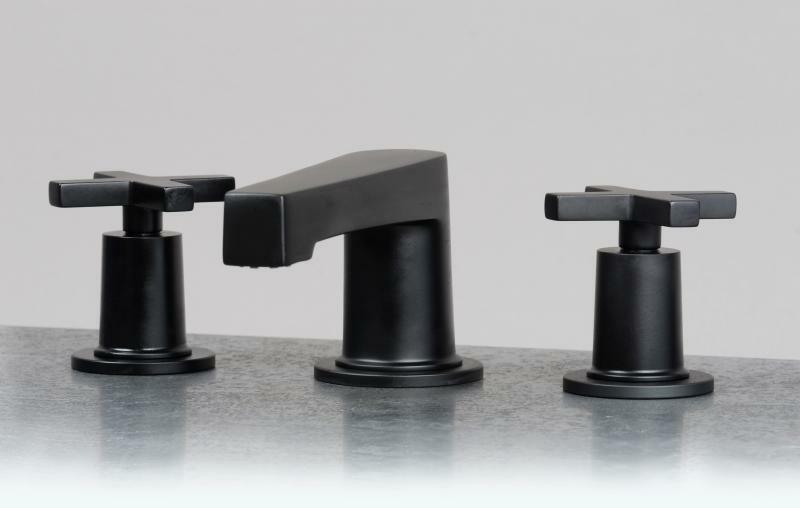 The ZL Faucet Series features an ultra-thin spout that measures only three millimeters at its joints and eight millimeters throughout, making it the thinnest in the industry, the company says. The stainless steel faucet features a single handle and comes in standard, semi-vessel, and vessel heights. 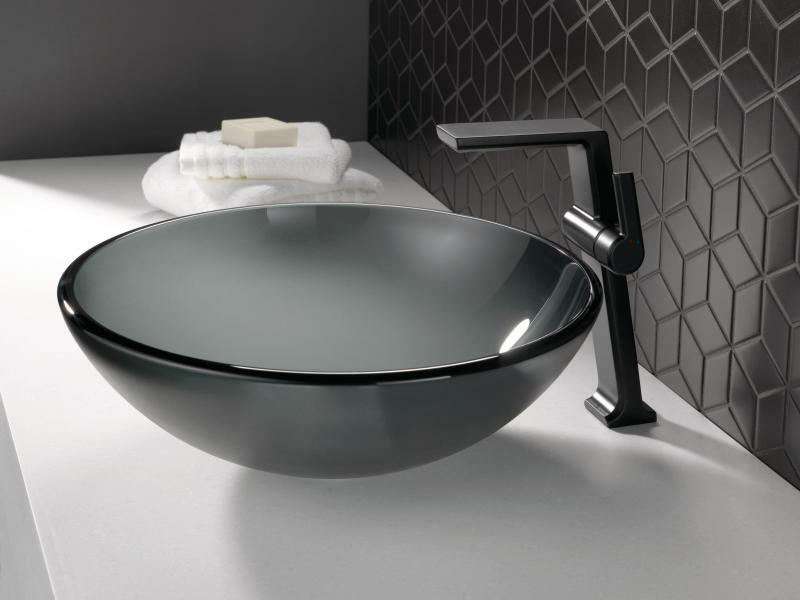 The Pivotal is Delta’s newest bath faucet collection, featuring an angular body contrasted with a circular handle base. It is available as a single handle option in several heights, as well as three-hole and wall-mount configurations. There are four finish options, including chrome, polished nickel, stainless steel, and matte black (shown). Developed with Belgian architect and designer Vincent Van Duysen, the Icona collection features the the curved Icona Classic, with cross handles, and the flat-faced Icona Deco (shown) with lever handles. The collection is offered in a number of classic finishes, as well as three new options including gun metal (shown), matte British gold, and matte copper. The solid brass Descanso collection features a low-profile, cylindrical spout and handles, allowing the knurling on the handles to stand out. 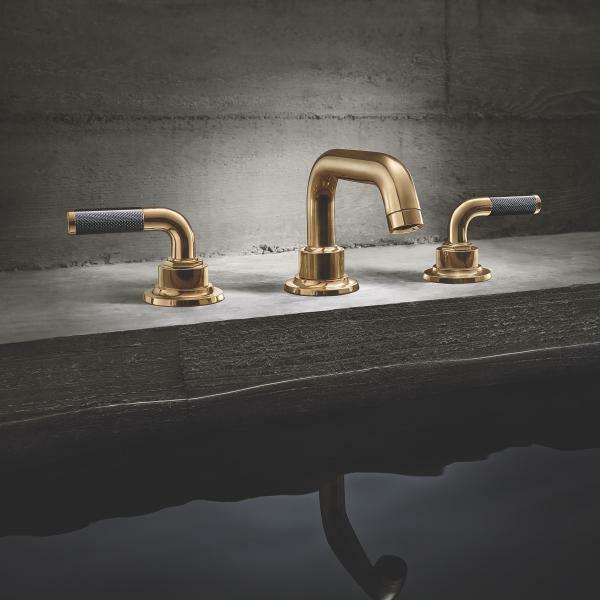 The faucet is available in a new vintage-look Burnished Brass finish that is slightly abraded and will patina over time, as well as 30 additional artisan finishes, 15 of which are PVD. Black carbon fiber handles (shown) are also available.